Occupation: Banker and philanthropist. 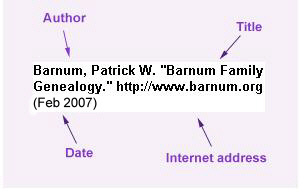 Notes from http://freepages.genealogy.rootsweb.com/~colby/colbyf am/: James Boorman Colgate was born on 4 Mar 1818 in New York City, New York County, New York. A banker; president of the board of trustees of Colgate University, Hamilton, New York; which he endowed. He was the son of William Colgate and Mary Gilbert. Colgate, James Boorman, banker and philanthropist, was born in New York city, March 4, 1818; son of William and Mary (Gilbert) Colgate; and grandson of Robert and Mary (Bowles) Colgate, who emigrated from the county of Kent, England, in 1795, to escape persecution as sympathizers with the American colonists during the Revolution. Robert Colgate received notification of the enmity of the government from Pitt, a friend of his boyhood. First settling in Maryland, he removed to New York city and thence to Delaware county, N.Y., where he died suddenly while preparing to conduct religious services in a schoolhouse, at the age of sixty-five years. James Boorman was prepared for college in schools in New York city and in Connecticut. When sixteen years old he decided to abandon a college course and devote himself to a business life. He began as shipping clerk and rose to the position of book-keeper in the house of Boorman, Johnston & Co., importers. After seven years' service as clerk he made a trip to Europe for the benefit of his health and on his return in 1843 engaged in the wholesale dry goods business, organizing the firm of Colgate & Abbe. In 1852 he associated himself with John B. Trevor as Trevor & Colgate, dealers in stock and other securities. In 1857 they added to the business a bullion and specie department to which Mr. Colgate gave his personal attention. He helped to organize and was for three years president of the first gold exchange. In 1873 the firm name was changed to James B. Colgate & Co., and the firm was still in business on Wall Street at the close of the nineteenth century. In this long period of existence, covering nearly half a century, it never felt the effect of a panic so as to fail to meet a single obligation. Mr. Colgate was a close student of the principles underlying and governing the financial dealings of the world and was a strenuous advocate of the remonetization of silver. His papers on this subject were very widely read. When a clerk, receiving fifty dollars a year as salary, he reserved a portion for benevolent purposes and continued the practice during his life. In 1869, with his partner, Mr. Trevor, he built and presented to the Warburton Avenue Baptist church, Yonkers, N.Y., appropriate church buildings, and subsequently one for the use of the colored Baptists of Yonkers. To Madison University, of which institution his father was an incorporator and he a trustee from 1861, and president of the board of trustees from 1864, he repeatedly contributed, not only to its endowment but to its material equipment. He erected Colgate academy and Colgate library as a memorial to his parents. In 1890 the board of trustees, with the consent of the alumni, in view of the benefactions of the Colgate family for several generations, changed the name of the institution to Colgate university. In 1891 Mr. Colgate established the Dodge memorial fund in memory of President Ebenezer Dodge. The principal, $1,000,000, is held by three trustees, and the interest is paid, one half to the university and one half added to the principal. In 1903 he gave $100,000 more. To Colby academy, New London, N. H.; to Rochester University; to Peddle Institute; to Columbian University, Washington, D.C.; to Rochester Theological Seminary; to Cook Academy, and to numerous needy churches and associations he was a liberal benefactor. Mr. Colgate was married in 1844 to S. Ellen Hoyt of Utica, N.Y., b y whom he had one son, William Hoyt Colgate. Mrs. Colgate died in 1846 and in 1851 he was married to Susan F., daughter of Gov. Anthony Colby of New London, N. H. His children by this marriage were Mary and James Colby Colgate. He was married to Susan Farnum Colby on 19 Feb 1851 in New London, Merrimack County, New Hampshire. Source: FHL Number 1000976; Colgate, J. B. , Marriage: S. F. Colby, Date: 19 Feb 1851; Recorded in: Birth and Marriage Index for New Hampshire. Children were: Mary Colgate, James Colby Colgate.